Who you take your Training with and where are the most important decisions you’ll make when deciding to take a Yoga Teacher Training. Get a firm base in the science of Yoga from Bea Raydo (E-RYT 500), considered one of the most experienced and knowledgeable Yoga Instructors in the United States. Bea has been teaching Yoga for over 30 years and is trained in many different styles. She has led training’s both here in the U.S. and internationally. Yoga Connection® is Bea’s home base as the Head of our Teacher Training Program and as a regular instructor. 200 HOUR YOGA CONNECTION® TEACHER TRAINING is designed for students interested in becoming an instructor, teachers wanting to further their education, and those simply wanting to deepen their practice and understanding of Yoga. 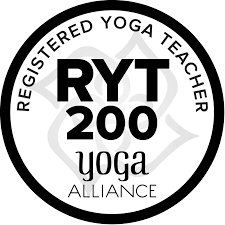 Graduates of this intensive Program are eligible for certification with Yoga Alliance as a Registered Yoga Teacher (RYT).